In most cases, we date each other, before we marry each other. 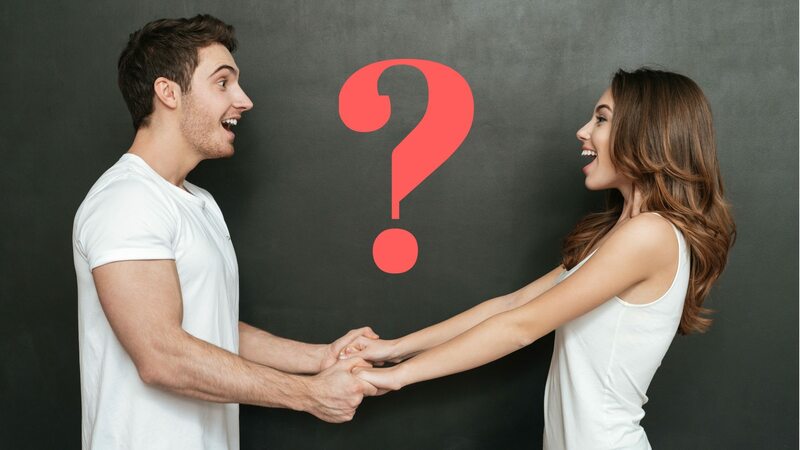 Dating is usually the prelude to marriage, and so is “falling in love.” But just because we enjoy dating each other, it doesn’t mean that we would be good marriage partners. A great date, doesn’t necessarily mean that he or she would be a good mate. And just because we “fall” in love, it doesn’t mean that we should fall into marriage. We could have a great jump start, with a bad ending if we choose the wrong person to marry. I want to put some dating cautions out there. Sure, go out and enjoy yourself (within biblical boundaries). But make sure that you guard your heart not to let it get too entangled before you know if you should marry this person. My husband Steve and I loved dating each other. And we were sure we’d have a great marriage. But unfortunately, our great start went in a very bad direction. Our marriage almost became a divorce statistic. Thank God (literally) we were able to rebuild a good life together with His guidance. We now have a great marriage. But it isn’t because we did what we should have before we married. We certainly weren’t ready to marry. And we certainly had a multitude of unrealistic expectations, and bad communication skills. It’s too bad we didn’t have the info I am going to share with you. That’s why we are passionate in helping those who are marrying, and are married. We hope to prevent couples from making some of the dumb mistakes we made. So, to help in this pre-marriage mission, I would like to share some of what Gary Thomas said on the Focus on the Family program, “A Fresh Look at Dating.” It’s a two-day radio program aired October 30 and 31, 2017. In it, Gary shared some things that I know can help you if you are looking to marry. Before I go on, the program that was recently aired is a repeat from a few years back. But it is timeless! And it’s very informative and useful to hear over and over again. We highly recommend you try to listen to it. Their web site is Focusonthefamily.com. Also, this program deals with info that Gary Thomas wrote about in his book, The Sacred Search: What If It’s Not about Who You Marry, But Why? It’s an outstanding book that I highly recommend you read. “Most Christian singles today, I believe, value the same things about marriage as non-Christian singles. They haven’t connected their faith with their romance and their view of marriage. So, for them, the ‘why’ of marriage is sharing an infatuation. They’re sharing sexual chemistry, and are enjoying each other’s company on a date. Those are the things that most people are drawn to. And if those three things are present, they think this is a great match. And if they’re a Christian, then what’s the problem? Well, there’s no other question. “We see strengths that others wouldn’t pick up. You know, somebody does something innocuous, a guy and a gal are in a college cafe. She drops a fork. And he picks it up instead of just leaving it there. And she’s overcome. Look, he picked up the fork! He’s so kind and thoughtful. He doesn’t leave it for other people. You know, next to Jesus Christ, I don’t know anyone with this character that has ever walked the earth. And everybody else is like he just picked up the fork. What’s the big deal? “Dr. Helen Fisher is a biological anthropologist and she’s actually studied this. And here’s some key markers for somebody who’s head over heels in an infatuation. Part of what I just said, that you tend to focus on your beloved’s better traits and you minimize their flaws. You can have extreme energy, even hyperactivity and sleeplessness. One or both partners develops a goal-oriented fixation on winning the beloved. In vernacular language, what I would say, is you’re so focused on getting and keeping the person, you don’t have any neurological energy left over to think, are they worth getting? Are they worth keeping? It’s just, I want to get the goal. “Relational passion is heightened by adversity; it’s not weakened. If people challenge you, that tends to draw you closer together. You become emotionally dependent on the relationship. You reorder daily priorities so that you can always be together. Plus, you think about this person to an obsessive degree. You might have known them for only a few weeks, but you can’t get them out of your mind. You want to be with them the entire time. “And so, it really just basically, takes over your neurological processing. It takes over your mental thoughts and you become obsessed with this person. And really what I think, another way to describe [it] is, it makes you feel desperate, fearful and clingy. “The reason I debunk the soul mate, S-O-U-L is that it comes from Plato, not Scripture. He really is the one who surmised that. It’s what he says in his book, Symposium. He has a character names Aristophanes, who said there’s this ancient prototype human that was male and female together. They called them ’round people.’ The problem is, that they were becoming too powerful and threatening the gods. “So, Zeus came up with the plan, I’m gonna cut ‘em in two, and separate the two halves. They’ll be so desperate to find their missing half that they won’t have anything left over to challenge the gods. Then once they find each other, they’ll be so clingy and desperate to stay together that they’ll leave us alone. So that’s what Zeus did and thus, the gods were saved. “Nobody believes that worldview now. But we still have this sense that there’s this one lost person that will connect us. The biblical worldview couldn’t be more different. The biblical worldview is not that I’m incomplete because I’ve been separated from an ancient half-human. It’s that I’ve been separated from God by my sin. “James 3:2 gives a promise to every married person, that we are going to marry someone who hurts us, who disappoints us, who sins against us. James 3:2 says, ‘We all stumble in many ways.‘ You can get the top person of character in the world and James 3:2 says, that person still will stumble, not just occasionally, but in many ways. We bring our struggle with sin. We bring our sin nature into the relationship. And so, marriage is going to be difficult. “But here’s the thing, if you marry a person of character, it helps you deal with those difficulties. For instance, if you marry a humble person, they’re going to grow out of some of those character problems. If you marry a very arrogant person who’s just more concerned with changing you than changing him or herself, that’s never really gonna change. “An exercise that I really encourage singles to do is, go to married people that you know. Say, ‘Has marriage been easier or more difficult than you thought it would be?’ Then just listen and say, ‘What made it more difficult?’ Or ‘What have the challenges been?’ Do some field research. “All my kids are looking for jobs. They’re going to people in that field and if it’s medicine, if it’s science, if it’s sales, if it’s business, they ask, what do I need to know that I don’t know? Do some research. Figure out what you’re looking for. “There are two steps I’d suggest. The first step is a LISTENING step. The second step is an ASKING step. So, for the listening step, just listen to what this man says. If I have a very close friend, it would be bizarre if my wife never heard me talk about him. I mean, just in normal conversation it would come up. I was talking to Chuck, or Chuck and I did this, or Chuck was telling me this. It just would be a natural part of my conversation that, that would happen. “Women, if he never brings up God, if he’s never talking about God, he’s not talking to God. If God is a daily presence, if God’s challenging him, if God’s inspiring him, he’s going to bring it up. If God is truly his friend, it would be bizarre if it never came up in a conversation. So, listen without bringing it up. Does God seem to be an active presence in this man’s life? “To believe that somebody is interacting with God and He isn’t laying a mission of some kind on their heart, I just can’t believe they’re listening. So, where’s God telling you, you need to grow today? What is God inspiring you to do today? And if you get this, ‘Uh … well, uh … you know, I thought I might start a popsicle stand sometime.’ You pretty much can clue in that they’re giving lip service to God. They’re not seeking first the kingdom of God. There should be something that comes to my mind. If somebody says, what is God laying on your heart, if I’m seeking first God’s kingdom, I know what I’m seeking. There’s good and important stuff here, isn’t there? I believe it’s invaluable. Please take it seriously. Marriage is serious business. This is nothing to fool around with, believing that everything will just work out by jumping into it with your eyes partially open. God takes marriage seriously, and so should we. Please listen to the rest of the broadcasts that we can’t share here. And read the book—Gary’s book and the Bible. You will be wise in your approach to marriage, if you do. I’d love to hear your feedback and read additional pre-marriage dating tips you can share below. What key issues should be taught to those considering marriage? What are the positives in marrying and what do you give up?